Dogs have been hunting wild animals and birds for centuries. In fact, we all know that originally, dogs were domesticated by humans primarily to help out with hunting, whether by becoming best hunting dogs on their own merit, or by assisting human hunters. Even back in the medieval times, canines used to go alongside hunters on horseback to hunt wildlife, and there are many writings that point to dogs being original hunters. Today, hunting with dogs by your side is not as popular in many US states, but the practice didn't go away completely. Not by a long shot. Hunting is still very popular, and hunters are always on the lookout for the best hunting dogs, which are often chosen and listed by other professional hunters who evaluate every gun dog's capabilities and assess which gun dog breed is most appropriate for certain types of hunts. When it comes to choosing only the best hunting dogs, that is a very hard pick to make. All dogs are unique in their own regard and are best for specific hunting tasks. For example, some gun dog breeds are better at catching fast prey such as rabbits or foxes, while others will be pros at sniffing out hiding places of certain animals. The bottom line is that there's no one single best hunting gun dog. There are multiple breeds that are considered to be best hunting dogs by professional hunters, and I'll list those for your below. You be the judge on this one and let us know in the comments below which gun dog breed you prefer to go hunting with and why. A close relative of (or rather a mixture of) an American Water Spaniels, Pointers and Retrievers, Boykin Spaniel is a breed that has originated in South Carolina back in the beginning of 20th century. These rare best hunting dogs are especially loved by serious hunters and have gathered some decent (but not highest) rankings on the hunting dogs charts across multiple dog hunting online resources. Boykin Spaniel is very energetic dog breed that loves to work hard. They are often used in hunts for mainly pheasants, grouses or quail (upland). Occasionally, hunters will also take Boykins with them for hunting ducks and geese, although this is not their specialty. Brittany dog breed, which originated in France sometime in the 1800’s, is a cross from different Spaniels and English Setters. Brittanies were bred for pointing and retrieving. They are a quick and curious breed and they do need a lot of exercise on a daily basis, as they can get quite destructive when they do not get enough of it. Aside from being simply cute, adorable and friendly family dogs, Brittany breed is different from other pointers because is closer to the ground, and will be able to outmaneuver most other pointers by deftly running through bushes and trees. Brittany is considered an all-around great hunting breed. Energetic, lively and small, Wire Fox Terriers are one of the best hunting dogs because that is what they were bred to do back in England of 17th century. These dogs go up to only 20 lbs in size, and are fairly rare these days among hunters, but their powerful frame and fast speed makes them a very suitable chaser of foxes. Today, Wire Fox Terriers are home dogs that are great with kids. Back in the day, these dogs would chase foxes into their underground burrows, which is where hunters would finish the job, or vice versa – out of their dens and other hiding places. Because Fox Terriers, both smooth and wirehaired, have small bodies, they are able to get in most places foxes can. And their relatively long legs allow to keep up with foxes, too. Pointers are a popular breed, but because there several types of Pointers, the original one is often called English Pointer. Genetic makeup of Pointers includes some of the most talented breeds, such as Greyhounds, Foxhounds, Bloodhounds and setting spaniels. Pointers have originated in England sometime in the 1600’s. As their name suggests, they were bred for pointing out prey during hunts. This is a very hard working breed who is especially fascinating by catching anything with feathers. Pointers can endure different types of climates and will be able to maintain high energy levels while searching for that prey in the tall grass. Today, they make great companions and are considered one of the best hunting dogs to ever exist. There are two other breeds in the Pointer family which are both covered on this best hunting dogs list. Mostly popular because of certain cartoons, Bluetick Coonhound is actually one of the best hunting dogs one can wish for. This breed is mostly famous for being able to stand toe to toe with some of the most dangerous animals, such as mountain lions. Bluetick Coonhound are great mountain lion hunters and they have the power, stamina and sense of smell to keep up with an “enemy” of that level. Coonhound's ability to pick any trail and follow it to a letter is famous among avid hunters, and most of them know the true value of this breed. 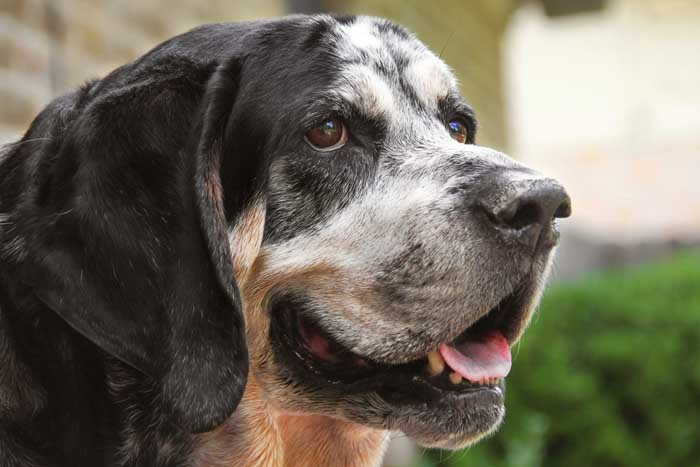 Originally, they were purposefully bred a slower version of foxhounds, but Bluetick Coonhounds evolved to have a lot of athleticism and pose threat to animals like cougars. 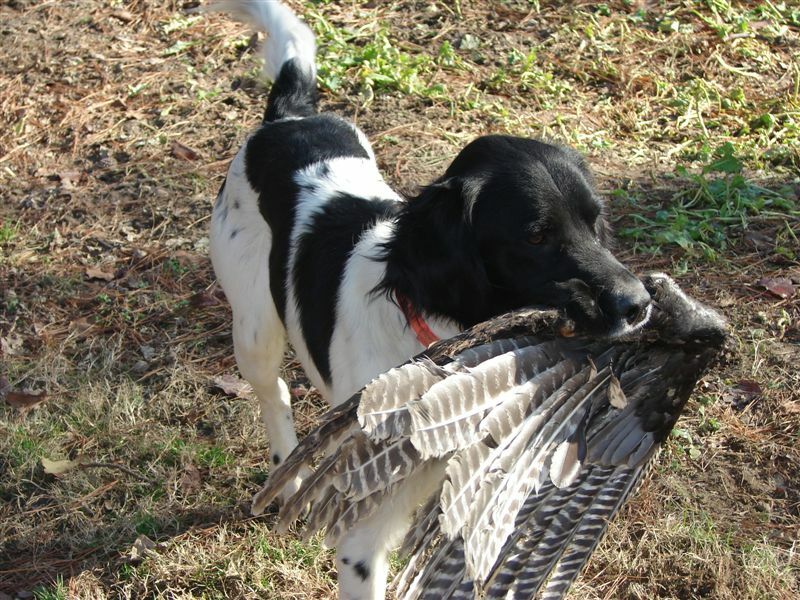 Most Setters were first bred for bird setting, retrieving, and pointing. Irish Setters originated in Ireland in the 1700’s. They are a mixture of spaniels, pointers and other setters. This is one of the best hunting dogs due to them being fast workers and who are especially talented at bird setting and retrieving. It's a very lively breed that is willing to work hard for you. Irish Setters will be most often used in hunting small game, and occasionally for turkey hunts. This breed is not a hunter's first choice, especially with English Setter still out there, or Brittany who is considered to be much better at the same task. Nonetheless, Irish Setters are still great for hunting, and they're also a lively, beautiful and friendly dog for home and kids. A close cousin of the already mentioned Boykin Spaniel, American Water Spaniels have originated in the United Stated around late 1800’s. These dogs were bred for bird flushing and retrieving, and quite frankly, we all know they're great at it. In fact, AWS (which is how they are often abbreviated) are rated much higher than Boykins by dog hunting professionals. Similarly to Boykin Spaniel, these best hunting dogs are adept at retrieving that small game in the tall grass, and they will work hard until the prey is found. AWS are not by any means lazy dogs, which makes them perfect for those multi day long hunts. On the flip-side, they do not require excessive exercise on a daily basis, just long walks. Possessing quite possibly the coolest and scariest sounding name, Bloodhound dog breed is exactly what it sounds: they are ruthless hunters who are prepared to face whatever prey they are after. Bloodhounds are truly best hunting dogs that always consider themselves leaders of the pack, and they are prepared to take on any challenge with their amazing tracking skills and sense of smell. This large breed was originally bred for hunting big and potentially dangerous game, such as wild boar or deer. However, after people discovered how strong of a sense of smell these dogs have, they began using Bloodhounds for tracking people as well, which is the primary reason these dogs are still bred today. Originated from England in the 1700’s and bred for bird flushing and retrieving, Clumber Spaniel dog breed is not a name of the breed you'll hear too often. Nonetheless, this is still a Spaniel, and Clumber Spaniel shares a lot of the same traits with other Spaniels, all of whom are great dogs for hunting. Clumber Spaniels love their walks and may need more baths than other dogs to keep their beautiful white coats shining white. But in terms of hunting, this gundog is ideal for upland hunting in dense cover. They were originally bred for partridge and pheasant hunts, but their slower speed doesn't allow them for effective chases. However, Clumber Spaniels have a very fine sense of smell and they're great on stamina. America's iconic hunting dog, Beagles (breed profile) are the breed of choice for hunting rabbits – one of the toughest assignments for a hunting dog. It's been over two hundred years that Beagles have been known as professionals of small game hunts, and they continue to maintain this name to this day, with most professionals considering them to be the absolute best hunting dogs. Beagle dog breed will usually have a strong nose, too, and they are often used for assignments as detection dogs. Fortunately or not, they love barking, which allows hunters to always keep track of where the Beagle is currently at when on a hunt. But on the other hand, this is not the type of dog your neighbors will appreciate you bringing home one day. Speaking of America's iconic dogs, there are very few breeds with as rich of a history as American Foxhound. George Washington's dog of choice, this breed originated in the USA from a mixture of English foxhounds and other similar breeds. As the name suggests, their original purpose was to hunt foxes, but today, they will most often run deer during hunts. American Foxhounds are very energetic and stubborn with a good amount of stamina, which is what makes them best hunting dogs for many different types of hunts. They also have a good nose and are amazing at working in packs. This dog will love chasing rather than tracking, and needless to say, American Foxhounds have the tools for that. Another popular and famous “home” dog breed, Cocker Spaniel was first bred in the United Kingdom in the late 19th century or early 20th century, and the breed was used for bird flushing and retrieving. For those wondering, the name “Cocker” is derived from the fact that this breed was all about hunting Woodcocks. After Cocker Spaniels were brought to the United States, the breed was further improved and their hunting abilities expanded. Even though this gundog is used in hunts today mostly for small bird retrieving, and very often at that, Cocker Spaniels are a popular cute home dog. Their gorgeous coats will need extra attention to keep in good condition or can be cut short for easier grooming. Easily the best hunting dog for any type of waterfowl, Labrador Retrievers (breed profile) are among the most beloved canines for all hunters around the world. 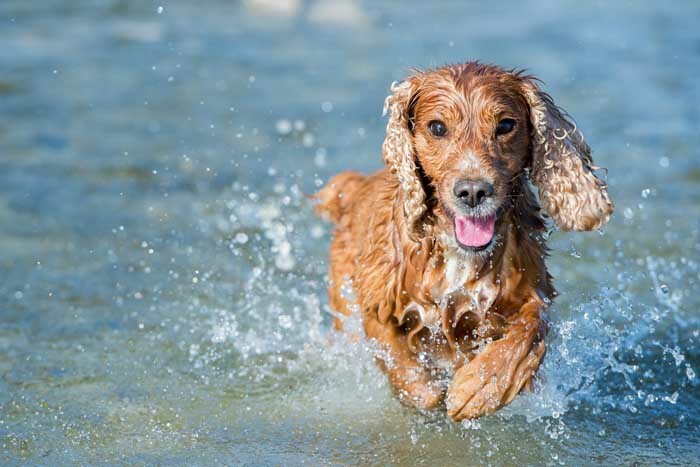 These dogs are perfect for hunting around water, because their physical abilities and attributes is exactly what a small game bird dog needs: muscular and strong body, double coat and a thick tail for balance when maneuvering. In addition to all the hunting trains of Labrador Retrievers, another reason why this breed is considered to be best hunting dogs is their intelligence. These dogs are amazing at being trained, listening commands and simply grasping the essence of obedience training. Labrador Retrievers mature faster than most other dog breeds and can be easily trained as puppies, which is why not only are they often used for hunting but also as working, service and therapy dogs. 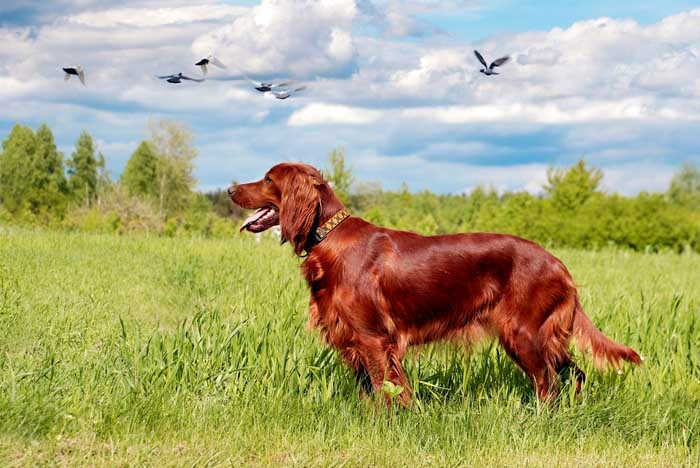 Those who do not consider an Irish Setter to be a good hunting companion, English Setter might be a better choice. This is a talented field hunting gun dog and one of the most popular for bird hunts. They are great at pointing and retrieving small game, and chances are that if you go see a bird hunt with dogs involved, there will most likely be an English Setter used for retrieving. 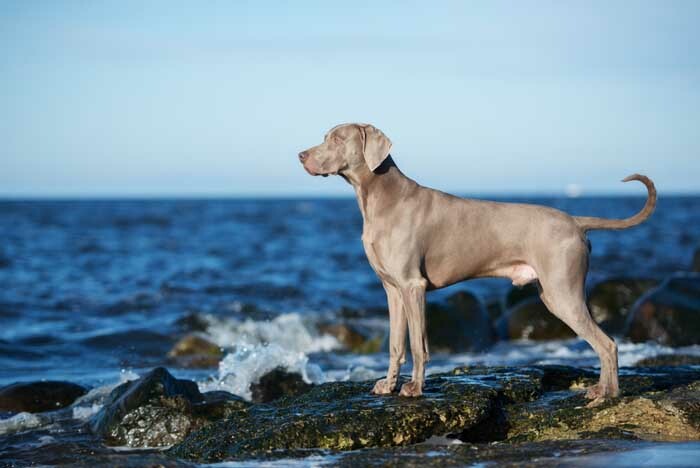 Even though Brittany dog breed is often rated higher by professional hunters than English Setters, this highly celebrated breed is great at what they were bred to do. Aside from the popular shorthaired pointer, here are two other types of English Setters – wiredhaired and longhaired. All are aknowledged by AKC's registry and all are inborn hunters. Appalachian Turkey Dogs are the type of canines which we learned more about from true hunters. There are many types of dogs that will be skilled enough to hunt turkeys, but no breed is better at this job than Appalachian Turkey dogs. These dogs are not yet recognized by AKC's registry and they are, essentially, still in the making. Appalachian Turkey dogs have been bred from a mixture of Plott hounds, setters and pointers. Even though the name suggest a canine that would be great at chasing turkeys, the focus with this breed was an all-around best hunting dog: good stamina, speed, desire to chase and skills for hunting waterfowl. It's not your regular family dog. Golden Retrievers (breed profile) are one of the most common and popular retrievers that are considered best hunting dogs for a specific type of assignments, right after Labrador Retrievers. Goldens are amazing small game hunters, and will be a good second choice. Aside from being ideal for hunting, these dogs are simply perfect companions anywhere else. Their loyalty, companionship and happy go lucky attitude is something every hunter will benefit from. Golden Retrievers are not simply your good looking family dogs, and majority of hunters respect this breed as a decent choice for certain types of hunts. Originating from South Africa, and also known as African lion dog, Rhodesian Ridgebacks were bred around the late 19th century. Their primary purpose at first was to keep the lions at bay either while on hunts and waiting for the owner to make the kill, or as protectors at home. 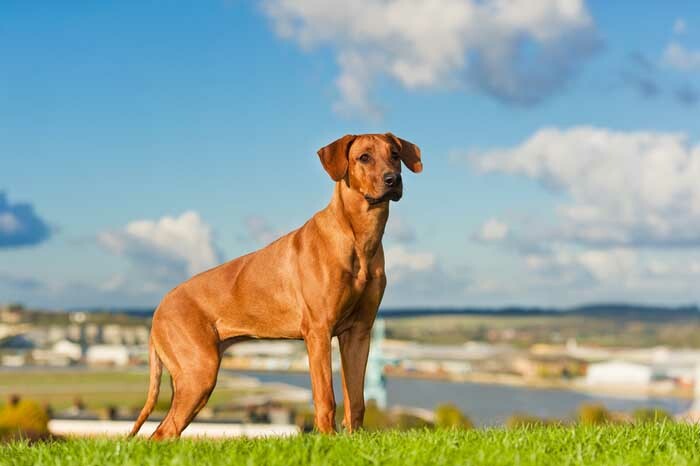 Rhodesian Ridgeback dog breed have always been known for their ferocity and bravery, which is why they were often used not as hunting dogs but rather good guard dogs. Eventually, this breed became a hunter of big game. Rhodesian Ridgebacks were not only hunting lions, but also a lot of other wild African animals, such as baboons and wild pigs. Unlike with lions where they wait for the hunter to make the kill, Ridgebacks have been known to fight and kill smaller animals like baboons on their own without any intervention of the owner. Known as one of the best all-around hound dogs, Treeing Walker Hound is known to have a strong sense of smell and ability to chase after many different types of animals: cougars, racoons, coyotes, deer and bears. Just as you would expect from hounds that are best hunting dogs, they are also perfect on speed and prey drive – two things which hunters love these dogs the most for. Treeing Walker Hounds are descendants of Foxhounds, and are better for short and quick hunts where you expect to find the prey within a few hours rather than days. Their stamina will allow to keep up with some of the fastest animals, and other skills to catch up to them. Another amazing all-around hunting breed is German Wirehaired Pointer, also known as Deutsch Drahthaar. These dogs are versatile best hunting dogs ideal for most animal prey. They are of medium to large size, have calm temperament and thick coats, and have been known as a leading gun dog in Germany since the middle of 20th century. Most professional hunters know this breed as the best all-arounder because of their ability to hunt any sort of game on any type of terrain. They have a strong nose, coat and great tracking skills, which makes them a perfect hunting dog for both land and water. Oftentimes, these dogs will work with groups of hunters, and they are particularly good at this task. Not a common choice mostly because of how rare these dogs are, Field Spaniels are definitely good small game retrieving dogs just like most of their Spaniel cousins. They've also originated from England and were first bred for bird flushing and retrieving. Field Spaniels might not be the absolute best hunting dogs mostly due to their temperament, but they have the skills and body for it. These dogs are also very affectionate and happy most of the time. Because of their ancestry, they do need to be used as working dogs and are expected to either hunt or do other physical labor; otherwise, if not given enough exercise and things to do, a Field Spaniel can turn into a destructive brat. Overall, these dogs make excellent family companions. They are very cautious with strangers though. Those of you looking for a truly tough dog that will face the danger in the eyes should look no further than a Plott Hound. These dogs are some of the best hunting dogs one can ask for when on the quest for big game, such as bears. Plott Hounds are intelligent canines, who know how to track and approach the prey, stand their ground, threaten when needed. A purebred Plott Hound will have a muscular body and a strong frame; they are tenacious canines with a lot of athleticism in them. Understanding the principles of hunting is also what these dogs are good at, and a Plott Hound will make sure to constantly release short and sharp barks so that you can keep track of where the action is happening while on fast track of a prey. If you're after cougars, bears or wild boars – this is your breed. Another great big game hunting dog is oddly sounding Dogo Argentino breed. If you think Pit Bulls are scary, wait till you see this big and muscular beast. Physical abilities of this breed are much more suitable for hunting than even Pit Bulls'. This catch dog will change places with your chase dog whenever the time comes and fight whoever he needs to fight – a hog, cougar or bear. They will sink in their teeth and hold onto the prey until the hunter catches up. This South American breed is much stronger, larger and more athletic than Pit Bulls. 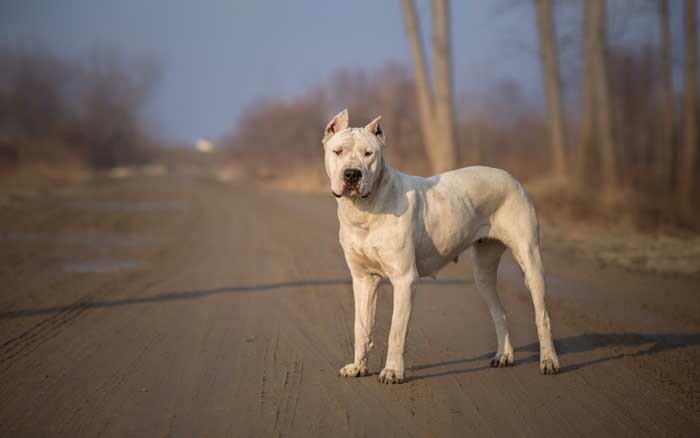 First, Dogo Argentino started hunting pumas and wild pigs, but afterwards, hunters realized the type of best hunting dogs these canines are, and soon, Dogo Argentino became the most popular choice for those hunts when you expect the dog to meet the prey face to face. Naturally, Spaniels are inborn hunters, which is why we're seeing many different types of them on this list. Now it's the Sussex Spaniels' turn, another Spaniel originated from England that was bred for very specific hunting conditions and later almost became extinct. They are not a hunter's quintessential best choice, but are still considered to be some of the best hunting dogs for bird hunts. Sussex Spaniels are slow working dogs but have great noses for small game tracking and flushing. The biggest problem with Sussex Spaniels is their stubbornness, which makes them quite difficult to train. But once you get there, your dog will forever be your trusty hunting companion. This breed is the most laid back of all the spaniels, so they would be great for city life. They also have a tendency to howl and bark when left alone. Hunters who are looking to embark on a small game chases after animals such as squirrels or raccoons will not find a better hunting dog than Mountain cur. Remember the time you enjoyed chasing after pigeons and how fun that was? Well, Mountain cur still enjoys doing that for a living. After originating in Europe, Mountain curs were brought to the US in the 20th century specifically for hunting and protection from raccoons. It's a well known fact that Mountain curs will always dominate any type of squirrel hunt, as they are the most adept at it. The way their bodies are design, their athleticism, medium sized frame and speed, as well as their enthusiasm for small prey makes them some of the best hunting dogs out there. Another famous looking canine is the German Shorthair Pointer. This breed has the nose and stamina to hunt even the most hard to catch birds in the wild. The problem with some of that small bird game is keeping up with their pace, and German Shorthair Pointers are quite possibly the only dog breed that can do that. Their intelligence will allow the dog to outwit the prey, and their stamina will let them to keep up with the bird for as long as is needed. German Shorthair Pointers are great for climbing steep and rugged hillsides as well as chase through even the most nastiest terrains. This breed is a combination of pointers and hounds, which is how the perfect hunting dog was born long time ago in Germany. Hunters looking for one of the best hunting dogs for bird hunts will never, ever go wrong with a German Shorthair Pointer. 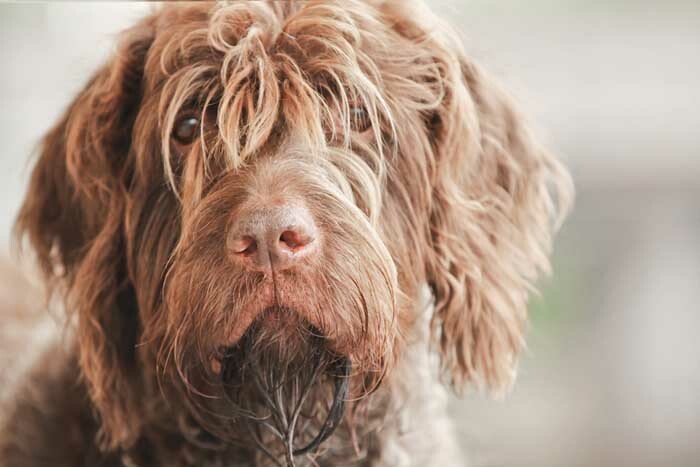 Spinone Italiano is one of the earliest breeds which as used as pointing dogs. They originated in Italy as far back as the 1200’s. Spino Italion is a very versatile gundog breed that mostly enjoys in helping with pointing and retrieving different types of game. Many years have went into perfecting this breed and the result is an intelligent, loyal and easily trained bird hunting dog. Although Spinone Italion is definitely one of the best hunting dogs, their primary disadvantage is their speed. Spinone Italiono is quite slow for an all-around best hunter, but their intelligence and stubbornness is what sells them. Additionally, these dogs are very devoted and loving canines that love to please the owner. They are a good breed to have around children and other dogs as they have calm temperaments. Hungarian dog Vizsla is a known and skilled hunter of fowl and upland game. These dogs were bred to work at pointing, falconry and trailing, and they are quite good at it, with hunters using Vizslas today as one of the best hunting dogs for turkeys, pheasants, grouse, woodcock and quail. As natural hunters, Vizslas are known to have strong noses and are one of the most easily trained dogs. Their fearlessness also adds a few solid points to hunting. Vizslas are gentle and very affectionate yet sensitive dogs. They originated from Hungary sometime in the middle ages, and have been great hunters since them. This dog breed has a tendency to be stubborn and excitable, and they make great companions for truly active pet owners. This unique an interest looking breed originated in Germany in early 19th century, and have specialized in hunting large game, trailing and pointing. This dog was royalty's first choice for hunting boars, bears, deer and other game of that type and size. They love running and hunting and do not like being penned up, which is where their true attitude comes into play. This is an all-purpose gun dog breed, and all their origins point to them being one of the best hunting dogs that ever existed. Weimaraners have a very strong instinctive prey drive, and there are very few animals whom they can tolerate for a long period of time. Their urge to constantly hunt is undeniable. Weimaraner can also be too much for small children as they can be rambunctious due to their nature. Wirehaired Pointing Griffon – another gundog breed known well from the old days. These canines are extremely skilled at what they do – mostly pointing and retrieving – and are most certainly one of the best hunting dogs around. They originated in France in the 19th century as dogs for hunting in and around water, as well as through thick undergrowth. Their coat is absolutely perfect for those types of hunting locations. Wirehaired Pointing Griffons are an intelligent breed that are willing to go through a lot to please the owner. Even on the job, these dogs remain playful and have an upbeat, puppy-type of personality, which can be a good and a bad thing for serious hunters. The excitable temperament will often cause issues, but in the end, Wirehaired Pointing Griffons will do the job they have set out to do. 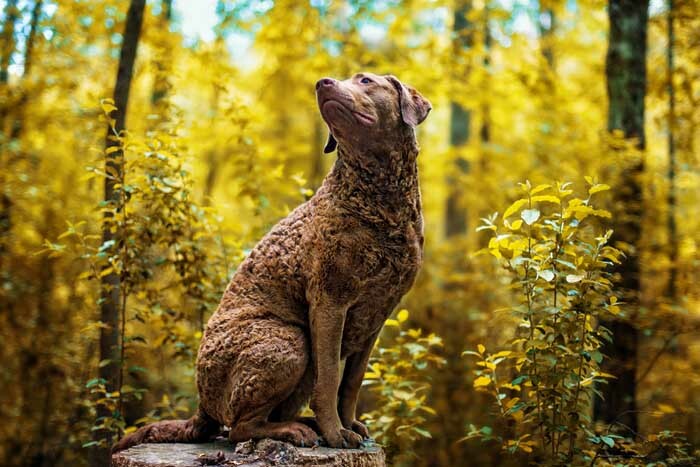 Last on the list of best hunting dogs but definitely not least is the Chesapeake Bay retriever who has a fascinating story of how they originated. Back in the 19th century, there was a shipwrecked brig from England that was rescued by an American ship. On board, there were two Newfoundland puppies, one black and one red. They proved to be great water retrievers later on and they became so popular that people would bring their retrievers to be bred with them. The breed became very advanced in their water retrieving skills later on. Today, Chesapeake Bay Retriever are some of the best retrieving dogs. This is a hard working dog breed that is not afraid of water, dirt or brutal terrain. Compared to Labrador Retrievers, Chesapeaks have a more solid build and their coat is more suitable for hunting that involves a lot of water contact. Usually, these dogs absolutely love to swim and will do so eagerly, especially for the prey. Why is the dachshund not on here for badger hunting?